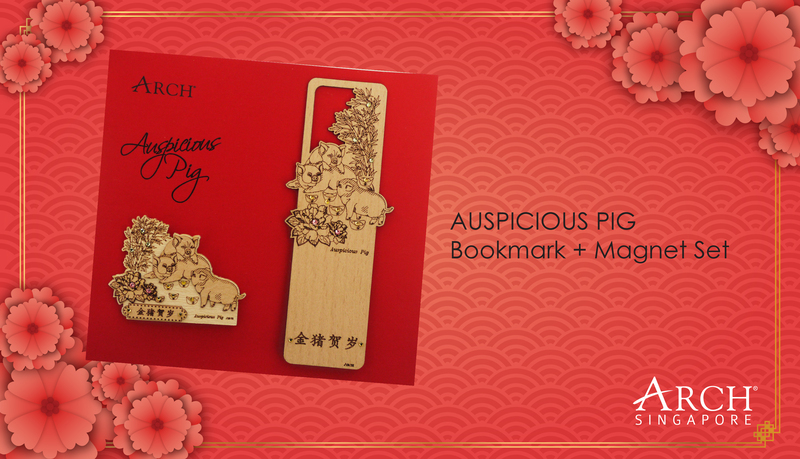 Spend S$188 and receive a free Auspicious Pig Zodiac Bookmark & Magnet Set (worth S$14.80) at Arch! Terms and conditions: Promotion is not valid with other ongoing promotions, privileges, discounts or voucher purchases. Arch is located at West Wing, #02-336. You may use our NEW Interactive Directory on your mobile phone to find your way to your favourite shop, brand or product. Visit quickguide.sunteccity.com.sg.